Tickets went on sale earlier today for Echo and the Bunnymen’s August 10th show at Metro and Bryan Ferry’s September 21st show at the Chicago Theatre. Tickets for Paul McCartney’s July 9th show at the United Center go on sale Monday at 10:00 AM. Congratulations to Buddy Guy on the 25th Anniversary of his Buddy Guy’s Legends blues club. The downtown venue will be marking the occasion tonight with live music by Lane and Breezy Rodio, $3 Buddy Brews, and a raffle for Buddy Guy’s Blues Legends t-shirts. Tributosaurus will be performing the entire Abbey Road album by The Beatles tonight at the Copernicus Center on Chicago’s northwest side. 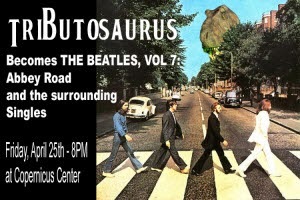 Partial proceeds from Tributosaurus Becomes THE BEATLES, VOL. 7, Abbey Road will benefit the Betty Hemmert Music Scholarship Fund. Betty Hemmert was the mother of WXRT DJ Terri Hemmert, who hosts the weekly Breakfast With The Beatles show in addition to her daily mid-morning time slot. Last week, she mentioned the The Beatles 50 Years Of Memories Show at the Curly Tale Fine Art gallery at 16 W. Erie. The exhibit will feature vintage posters, original advertising, collector vinyl, original art, and photographs. 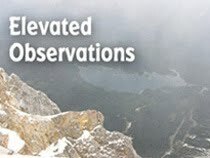 There’s an opening night reception from 6:00 to 10:00 PM tonight, and the exhibit runs through May 23rd. Hours are Tuesday - Saturday 11:00 AM - 6:00 PM. Sunday Noon - 4:00 PM, Closed on Monday. C2E2, the Chicago Comic and Entertainment Expo kicked off its 2014 visit at McCormick Place today at 11:00 AM and will remain open until 7:00 PM. Actress Eve Myles from Torchwood will host a panel at 4:45 PM this afternoon, followed by a signing in the Autographing Area. Other guests this weekend include Marvel Comics founder Stan Lee, Alfie Allen, Kristian Nairn, and Natalia Tena from Game Of Thrones; Jaime Murray from Defiance; R J Mitte from Breaking Bad; Chase Masterson from Star Trek: Deep Space Nine; Ernie Hudson from Ghostbusters; and Svengoolie. Several comic artists will also be on hand, along with loads of vendors selling art, t-shirts, action figures, and all kinds of imaginative fantasy-related goods. 826CHI, a nonprofit writing and tutoring center, is staging a sci-fi/cult film themed fundraiser at the St. Vincent de Paul Center on Halsted tomorrow night from 8:00 PM to midnight. Prom 9 From Outer Space will feature an open bar, costume contest, silent auction, raffle, and dancing. Advance tickets are $55 for one, $100 for two, and $60 at the door.